Morocco will take part in the meeting of the Global Coalition to Defeat ISIS due in Washington on Feb. 6. Delegates of 79 countries of the coalition will discuss the impending territorial defeat of ISIS in Iraq and Syria, which is the result of four years of Coalition and partners’ joint efforts, and a significant milestone towards delivering ISIS an enduring defeat. According to the US State Department, participants will discuss the next phase of the campaign in Iraq and Syria, which will focus on protecting against a resurgence of ISIS through stabilization and security assistance. The coalition members will also exchange views on the important next steps in degrading ISIS’s global networks and affiliates outside Iraq and Syria. This meeting, which comes after the withdrawal of US forces from Syria, will coordinate actions of the global coalition to continue to destroy ISIS remnants and thwart its global ambitions. As ISIS is defeated on the battlefield, the Coalition will continue its stabilization efforts to facilitate the safe and voluntary return home of those who have been displaced by the violence. 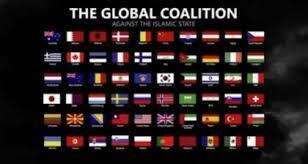 The Global Coalition regularly meets to coordinate and enhance combined efforts to counter ISIS. The last Ministerial meeting took place in Brussels on July 12, 2018, with select members of the Coalition. The last meeting at the Political Directors level took place in Rabat, Morocco, on June 26, 2018.